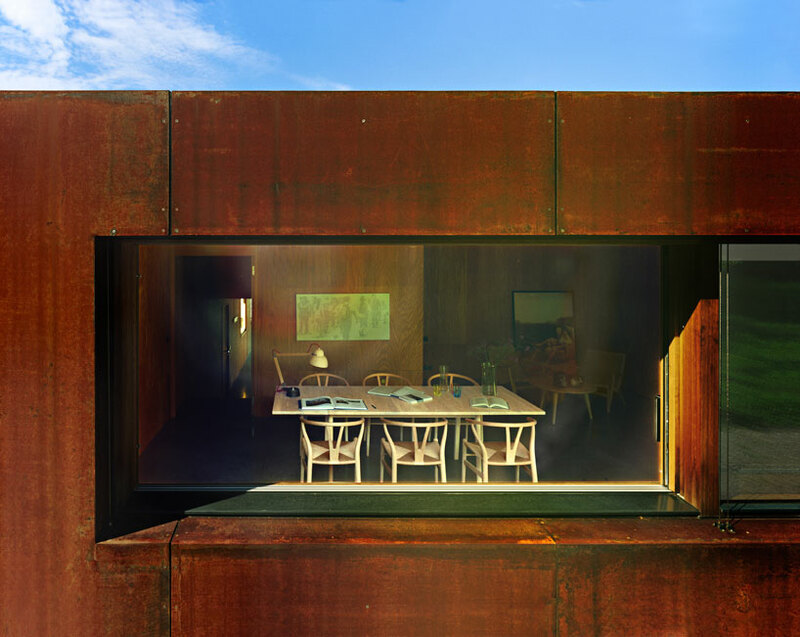 A residence, Casa 26, located on Lake Geneva in Thonon-les-bains, France, blends together the worlds of art and architecture in it’s 5-bedroom residence. 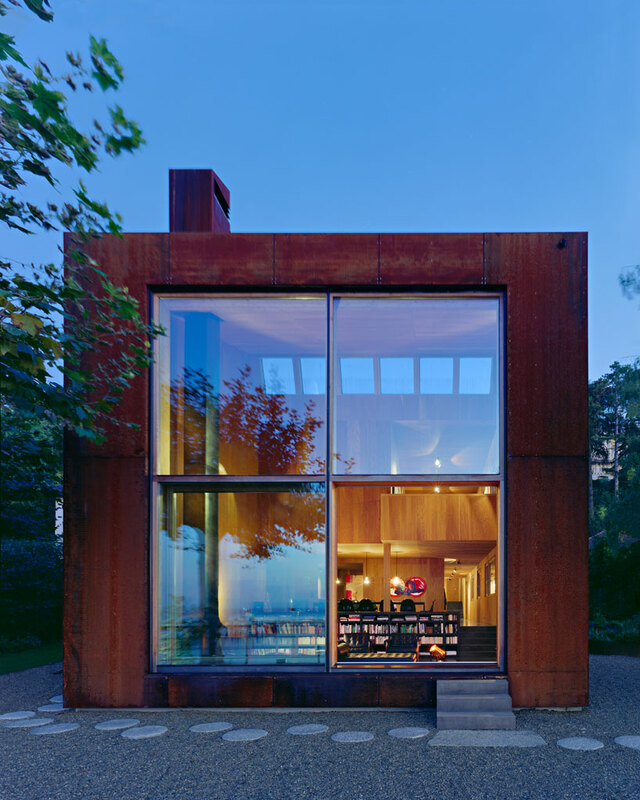 It’s no surprise that artist and owner of the home, Marc Dentand, teamed up with architects, Michael Widrig and Daniel Kaufma to bring his vision to life. 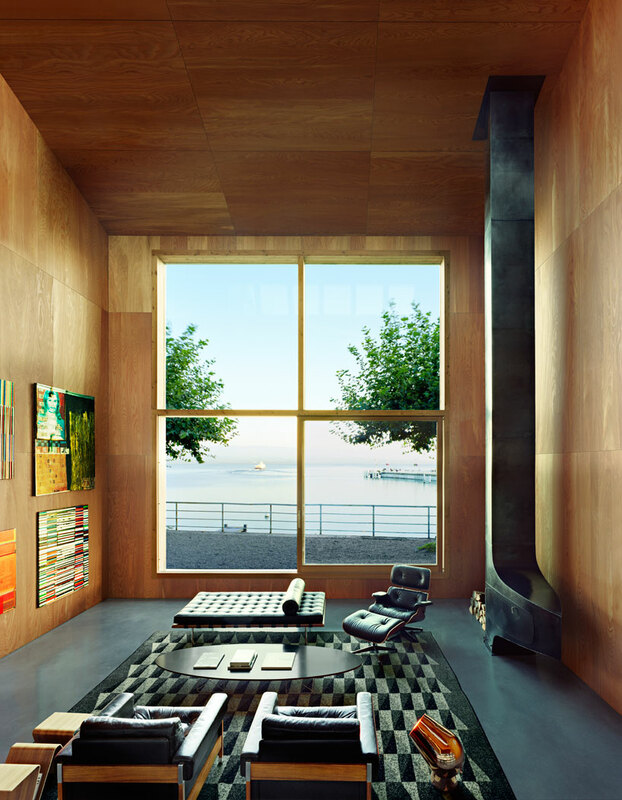 Stepping out of many artistic boxes, the design aimed to create a grand gesture of functional art. Each part of the home and each angle you see it from was purposely designed to look and feel like a work of art, inspiring the senses with beauty and intrigue. Artistic touches are demonstrated throughout the home and the landscape using different worlds of art as inspiration such as paint, sculpture and photography. The natural beauty of Lake Geneva, further accentuates it’s appeal providing breathtaking views of the blue and silver reflected from the lake and the greenery from the foliage and trees that surround it. 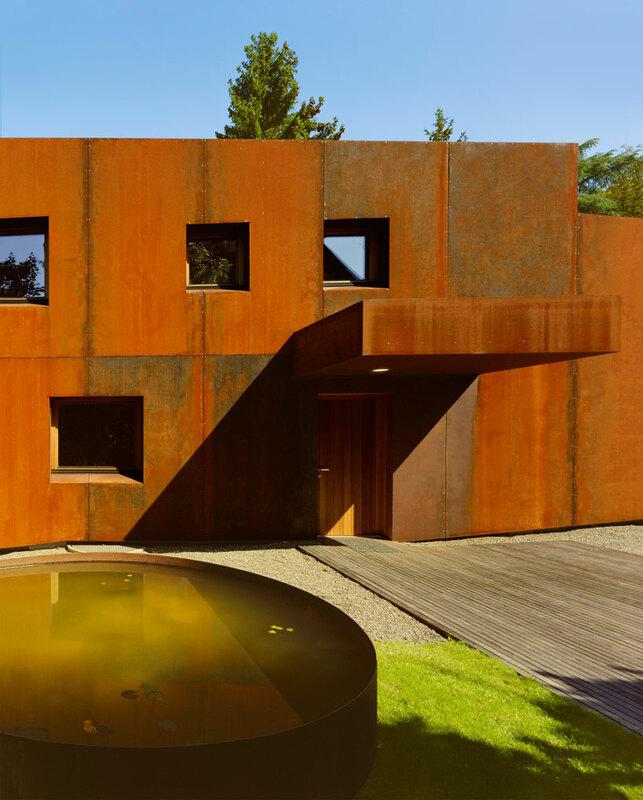 It’s reddish brown exterior stands out beautifully against the green and blue colors. 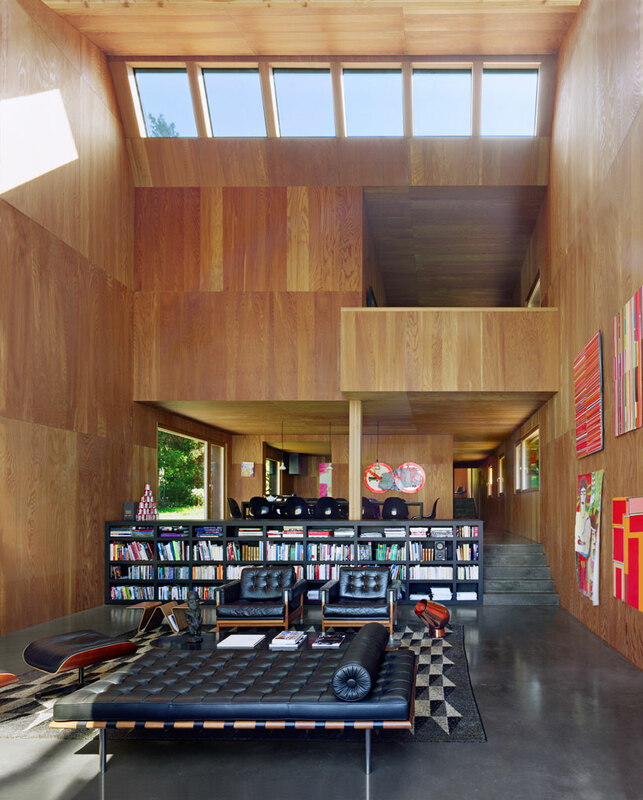 The home is marked by high ceilings clad with wood forming the shape of a cross like a cathedral. Large glass sliding doors and a massive living room window allow natural light to stream into the space illuminating its interior space. The home adopts many features similar to a boathouse. 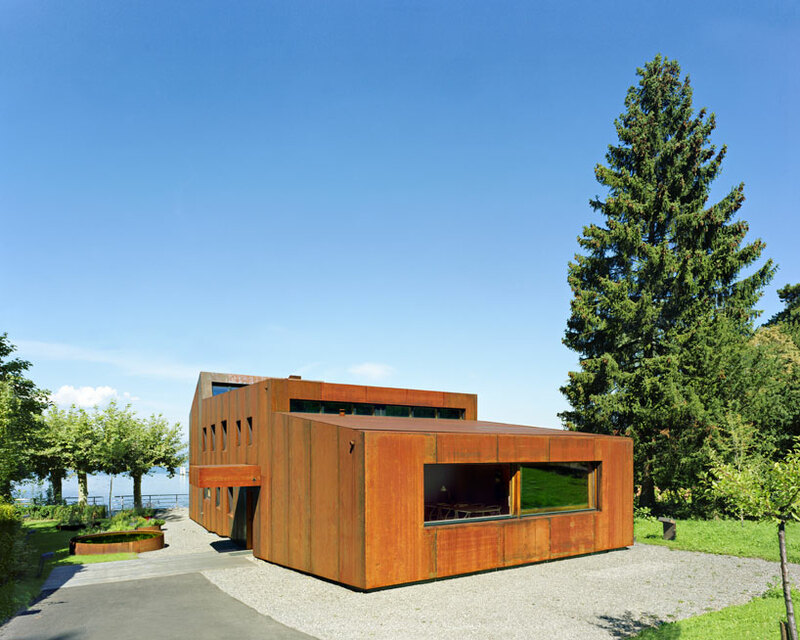 Just three materials where used in the design of the home: larch, black steel and concrete. Less materials in the architecture allowed more room to play with the furniture and decor, creating a more basic foundation with artistic freedom in the design.